India is on its way to develop ‘100 Smart Cities’. The government has announced an investment of $1.2 billion to create them. However, the foundation of any smart city is the safety of its citizens and resources. Components of a smart city can only work along with the provisions for Safety and Security both for the people and the infrastructure. The Government of India had set aside ` 700Cr in the 2014-15 budget for security and surveillance purposes and added ` 1000Cr to the Nirbhaya fund in the 2015-16 budget. It has been made mandatory to install surveillance cameras in educational institutions, public places, tourist spots, transport & transport hubs, including railway stations, bus stands, airports, inside buses, railway coaches and other vulnerable places. Smart Cities will have to go beyond basic monitoring to intelligent and quality video surveillance that is useful in applications such as identifying a number plate on a vehicle in the parking lot, identifying a person, identifying minute details like an object held in a person’s hand etc. TrafficInfraTech speaks to a few Intelligent Safety & Security system providers to know about the latest technology in offing and the challenges in integrating these security cameras with other intelligent systems. As India gear towards making the Smart Cities mission a reality, there is an urgent need to prioritise the needs of individual cities and form a development plans. Although there are various model cities around the world, India will have to shape its own unique smart cities, considering its strengths and weaknesses. How smartly we build, manage and operate our cities will be the single biggest determinant of our future. Dvtel India Pvt Ltd, which has been recently acquired by FLIR ITS, has deployed its cameras across the country including the airports, large metro rail systems, casino, sports stadiums, etc. 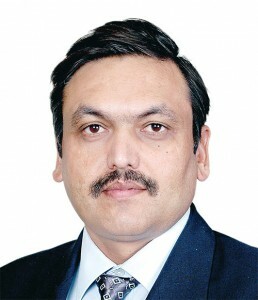 Speaking about the special features of Dvtel’s camera, Inderjit Sehrawat, Director, Dvtel, explains, “Our cameras make a big difference to the total cost of ownership for a city wide installation. Due to the extra processing power in our cameras and the broadcast grade algorithms implemented, the bandwidth required is much less than most other cameras and that leads to not only much less Opex due to the lesser cost on the leased bandwidth but also much lesser Capex on the storage space required to store the video. Above all, the system has many unique capabilities to do with case management, video quality and forensic capabilities. 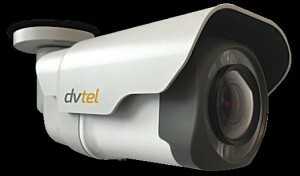 Dvtel system (VMS + Cameras) is built on open principles and the two are ONVIF compliant. Further, the VMS has a very detailed Software Development Kit that helps almost all kinds of integrations. The US based Flir ITS, a market leader in Video Detection and Monitoring Solutions for traffic applications, has sold more than 80,000 video based traffic sensors world over for Intersection Control and have over 600 tunnel references for Automatic Incident Detection (AID) till date. In India, they have bagged the biggest AID references for the prestigious 9.2km bi-directional single bore ‘Chenani- Nashri’ Road Tunnel (128 AID locations, under execution), Yamuna Expressway (25 locations), Himalaya Expressway (7 locations) and Noida Expressways (14 locations). FLIR ITS has over 2000 vehicle presence detectors installed across various Indian city traffic management projects like Indore BRTS, Surat BRTS, Hyderabad (HTRIMS), Chennai, Mumbai ATCS, Jaipur ATCS, Patna ATCS and Ahmedabad (ITS).